The University of North Texas Press recently published "Captain Jack Helm: A Victim of Texas Reconstruction Violence" by Chuck Parsons. Parsons has authored a number of good Texas histories/biographies including, "Captain John R. Hughes: Lone Star Ranger", "Texas Reconstruction, and Violence in the Wild West" and "The Sutton County Feud" as well as others. Parson's "Captain Jack Helm" has long been awaited and is a good read. John Jackson (Jack) Helms or Helm according to what source is used was born in Missouri about 1836 and came to Texas with his mother and father in 1842 to settle in Lamar County. During the Civil War Jack served the Confederacy in Company G, Ninth Texas Cavalry beginning his reputation as a cold-blooded killer who showed no mercy to his victims. In 1862 Helm took part with a group of vigilantes who tried and hung five men for having Union sympathies. Following the war Jack Helm became a captain in the Texas State Police and during this time he unmistakably established himself as a violent hunter of men. The Galveston News reported that in a two-month period in the summer of 1869 Helms and his "regulators" killed twenty-one men only jailing ten fugitives. Not many criminals escaped Helm most were shot dead while "trying to escape". 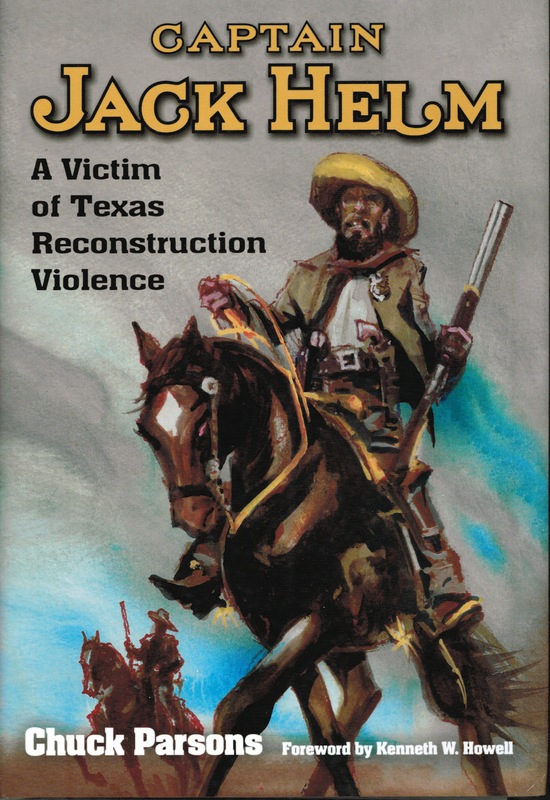 Parsons does a first-rate job of illustrating just how violent and chaotic reconstruction Texas really was during the years following the Civil War. Finally in 1870 Texas Governor Edmond J. Davis dismissed Helm from the state police force after he and some of his men killed Henry and Will Kelly in view of the deceased men's wives and families. The old saying of he who lives by the gun dies by the gun proved to be true in the case of Captain Jack Helm. In 1873 none other than John Wesley Hardin and Jim Taylor gunned him down.